When you install the App, we are automatically able to access certain types of information from your Shopify account: We collect order information and name/location of customers (for social proof and stock prediction). We collect information like web requests, the data sent in response to such requests, the Internet Protocol address (also called IP address, this one is a partial IP address, anonymised and encrypted), the browser type, the browser language, and a timestamp for the request. Additionally, we collect the following types of personal information from you and/or your customers once you have installed the App: We collect order information and name/location of customers. We use cookie in the pixel to track visits. Information about you and others who may access the App on behalf of your store, such as your name, address, email address, phone number, and billing information; Information about individuals who visit your store, such as their IP address, web browser details, time zone, and information about the cookies installed on the particular device. We retrieve merchant store currency (related to the free delivery notification). We only use your personal information to provide you the Nudgify services or to communicate with you about the services or the Website. We employ industry standard techniques to protect against unauthorised access of data about you that we store, including personal information. We do not share personal information you have provided to us without your consent, unless: doing so is appropriate to carry out your own request; it is legally required; we believe it's needed to detect, prevent or address fraud, security or technical issues; otherwise protect our property, legal rights, or that of others. Nudgify is operated from the United Kingdom. If you are visiting the Website from outside the U.K., you agree to any processing of any personal information you provide us according to this policy. 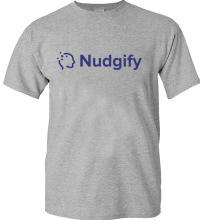 Nudgify may contact you, by email or other means. For example, Nudgify may send you promotional emails relating to Nudgify or other third parties Nudgify feels you would be interested in, or communicate with you about your use of the Nudgify website. Nudgify may also use technology to alert us via a confirmation email when you open an email from us. You can modify your email notification preferences by clicking the appropriate link included in the footer of email notifications. If you do not want to receive email from Nudgify, please opt out of receiving emails at the bottom of any Nudgify emails. We don't share your personal information with third parties. Only aggregated, anonymised data is periodically transmitted to external services to help us improve the Nudgify Website and service. We currently use Google Analytics (traffic analysis, SEO optimisation) and Crisp (live chat and in-app messaging). See listed below what data these third parties extract exactly. Please refer to their own Privacy Policies to find out more. Mailchimp: name and email of our beta subscription list. Your use of these third party services is entirely optional. We are not responsible for the privacy policies and/or practices of these third party services, and you are responsible for reading and understanding those third party services™ privacy policies. We employ and contract with people and other entities that perform certain tasks on our behalf and who are under our control (our "Agents"). We may need to share personal information with our Agents in order to provide products or services to you. Unless we tell you differently, our Agents do not have any right to use Personal Information or other information we share with them beyond what is necessary to assist us. You hereby consent to our sharing of Personal Information with our Agents. We may choose to buy or sell assets. In these types of transactions, user information is typically one of the transferred business assets. Moreover, if we, or substantially all of our assets, were acquired, or if we go out of business or enter bankruptcy, user information would be one of the assets that is transferred or acquired by a third party. You acknowledge that such transfers may occur, and that any acquirer of us or our assets may continue to use your personal information as set forth in this policy. Your personal data is stored safely in our database. The databases and servers are held by us or by equivalent third-party providers within the European Union. When you place an order through the Site, we will maintain your Order Information for our records for at least 25 months unless and until you ask us to delete this information. Nudgify does not provide Data Processing Agreements (DPA) at present. This is because of the way in which we process data. Data collected during the use of the app is held by clients locally, and not retained on our servers. Personal data collected during the use of the app is anonomised before aggregation. Data collected during the use of the app is only used on an aggregate level. For these reasons, a DPA is not needed.